Remember, we don’t just sell building materials; we also hire a wide variety of tools and small plant. We are the premier tool hire company in the area, with a large fleet of quality equipment, ranging from a scaffold board through to a 3tn digger and dumper. With four hire branches and experienced staff we can handle any enquiry. 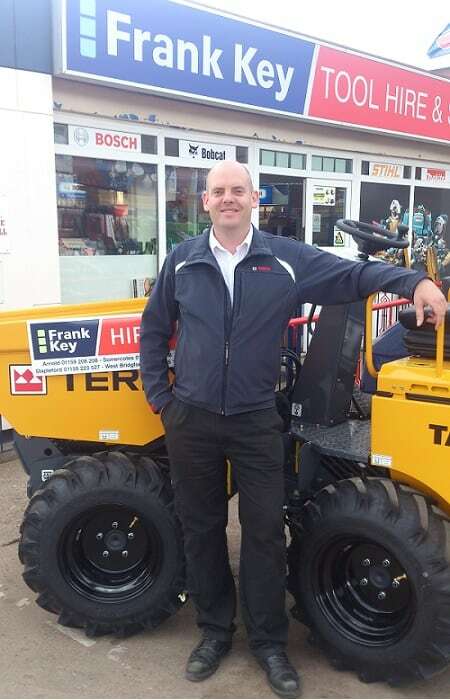 If you have any questions, feel free to contact our Group Hire Operations Manager, Dave Atkin, who after many years with Frank Key, has been promoted to manage the entire division. Dave is tasked with continuing to expand our hire operations, adding to the excellent progress made previously by Richard Johnson.